Am I Banned from Google? 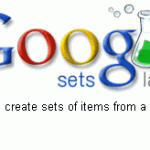 Google Sets for those of you who are unaware is a Google labs utility that takes a word or set of words and will logically generate a complete list of words related to those words. What do you do when Google bans you? just to make sure you are indeed banned. If you are indeed banned, the first thing to figure out why they banned you.